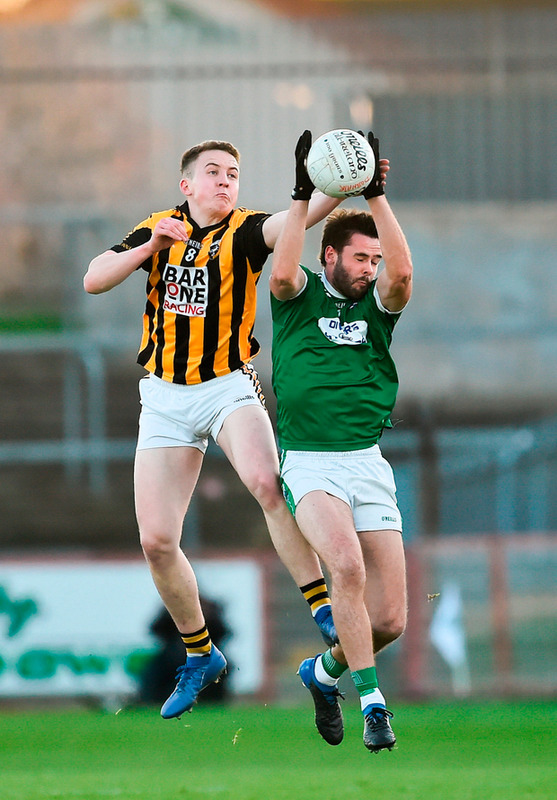 Youth and experience are pretty useful commodities in the club championship and Gweedore made the most of both ends of the age spectrum to advance to a first AIB Ulster Club SFC final. Backboned by 10 players who won the Ulster U-21 championship in February, and wily old foxes like Neil and Eamon McGee and Kevin Cassidy, the Donegal champions are on one hell of a journey this year and took out one of the competition's aristocrats in convincing fashion in Healy Park yesterday. 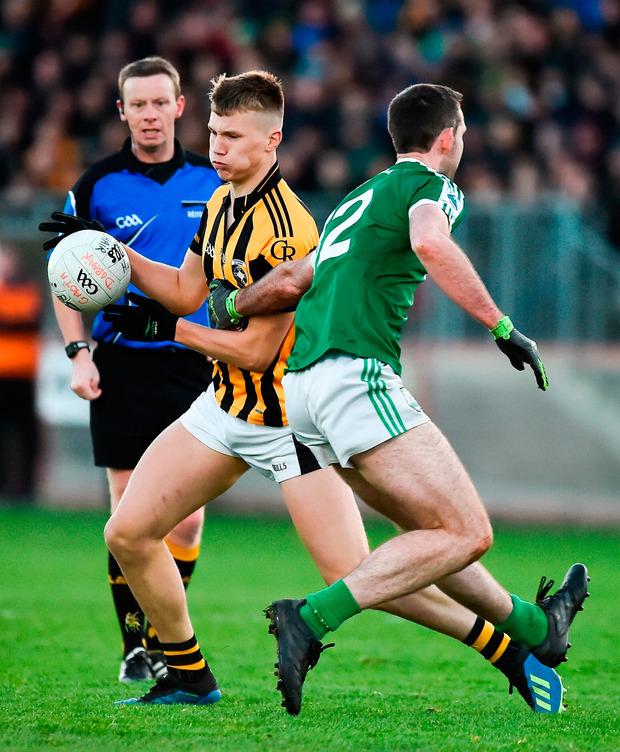 A first-half hat-trick by Daire ó Baoill, a great second half from Cassidy and a superb afternoon's work by Odhrán Mac Niallais were key in defeating six-time All-Ireland winners Crossmaglen. "Those young boys know nothing only winning and they're driving the whole thing on," said Neil McGee. "We knew we had a lot of legs around the middle and if we could stay with them early on that we'd exploit the gaps." ó Baoill's three goals in a 15-minute spell effectively killed the game as a contest in front of 7,794 in Omagh. For the second game in a row Crossmaglen finished with 13 players, Johnny Hanratty again dismissed for two yellow cards three minutes into the second half. Rian O'Neill, who kept Cross in the game with eight points, six from frees, picked up a straight red in injury time, lashing out in frustration with a late hit on Seamus Boyle. 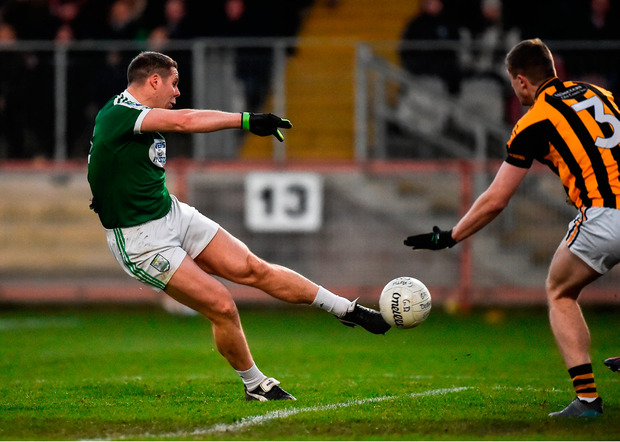 No Donegal club has won the Ulster club title since St Joseph's back in 1975 - it's an unwanted statistic that Gweedore will fancy ending given their awesome finishing power. Cross led 0-3 to 0-1 early on but that was as good as it got. They were far more direct but Gweedore were defensively sound with sweepers in place and they counter-attacked with real pace, ó Baoill's first goal in the 10th minute set up by a fisted pass over the top by Mac Niallais. ó Baoill ran onto the floated pass and kept his finish low. Three minutes later, he raced straight through the middle unchallenged and another low tidy finish beat Jamie McEvoy for a second time. 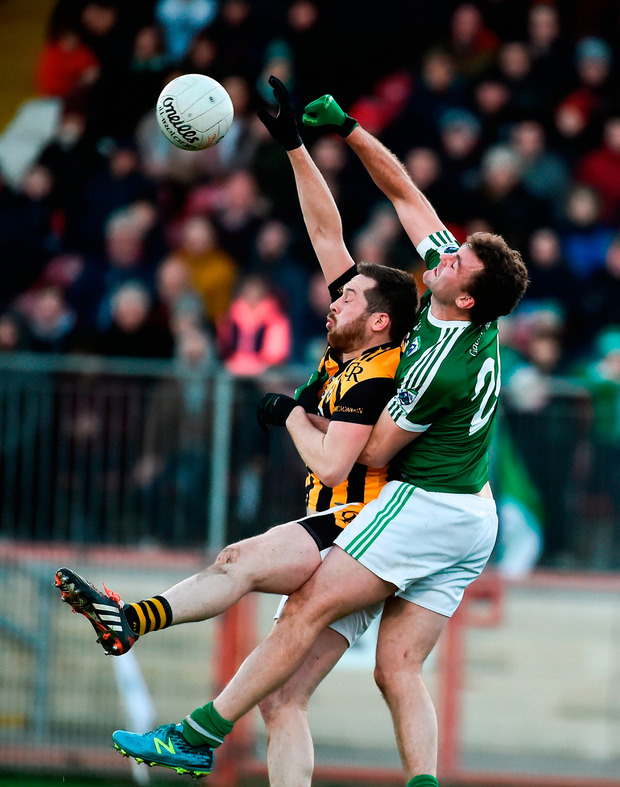 Crossmaglen were rocked and Kyle Carragher's point after another lovely crossfield ball was only brief respite with Mac Niallais raiding forward to score a classy point. The nippy Cian Mulligan was fouled in the square by Garvan Carragher and ó Baoill stepped up to drill the penalty kick low to the goalkeeper's right for goal number three. That left it 3-5 to 0-5. Cross did mount a response with four points in a row before half-time through Rian O'Neill (three) and Tony Kernan to cut the gap to 0-9 to 3-5 at the break. That left Cross with something to fight for in the second half and David McKenna forced a good save out of Christy Sweeney, but losing Hanratty so early after the break left them with a mountain to climb. Thirty-seven-year-old Kevin Cassidy, an All-Star in 2002, played like a 21-year-old in the second half and was a huge physical presence at full-forward. He scored 1-2 from play after the break including a 42nd-minute goal, swivelling and blasting the ball into the net after Mac Niallais' shot had come back off the upright. 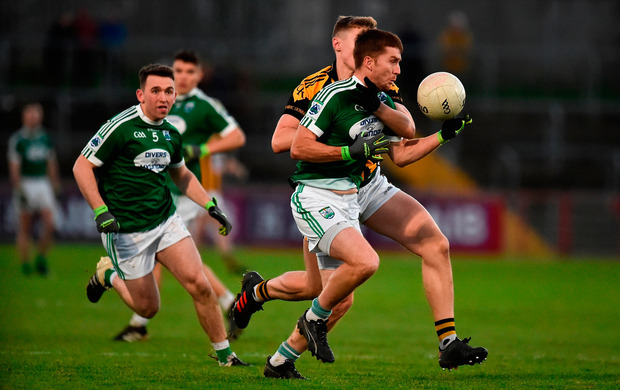 Any lingering hopes that Cross could mount a comeback were extinguished and Gweedore comfortably saw it through to set up a decider against Scotstown on December 2. SCORERS - Gweedore: D ó Baoill 3-0 (1-0 pen), K Cassidy 1-2, O Mac Niallais 0-4 (1f), E Collum 0-2 (1f), N Friel, C Mulligan, S Ferry 0-1 each. Crossmaglen Rangers: R O'Neill 0-8 (6f), O O'Neill 0-3 (1f), K Carragher 0-2, T Kernan 0-2 (1f), J Hanratty 0-1. Gweedore - C Sweeney; G McFadden, N McGee, C McFadden; N Friel, E McGee, O McFadden-Ferry; D ó Baoill, O Mac Niallais; C Mulligan, N ó Baoill, D McBride; E Collum, K Cassidy, M Carroll. Subs: P McGee for McBride (43), S Carroll for Collum (47), S Boyle for McFadden-Ferry (52), S Ferry for N O Baoill (55), C McCafferty for E McGee (60). Crossmaglen Rangers - J McEvoy; R Kelly, A Farrelly, G Carragher; A Kernan, J Morgan, P Hughes; S Morris, O O'Neill; J McKeever, R O'Neill, J Hanratty; C Cumiskey, T Kernan, K Carragher. Subs: A Rushe for G Carragher (27), D McKenna for McKeever (h-t), P Stuttard for Hughes (48), C McConville for T Kernan (48), M Boyce for K Carragher (59).